Beeline is the leading factory shop for quality infants, kids, men’s and ladies casual wear clothing. 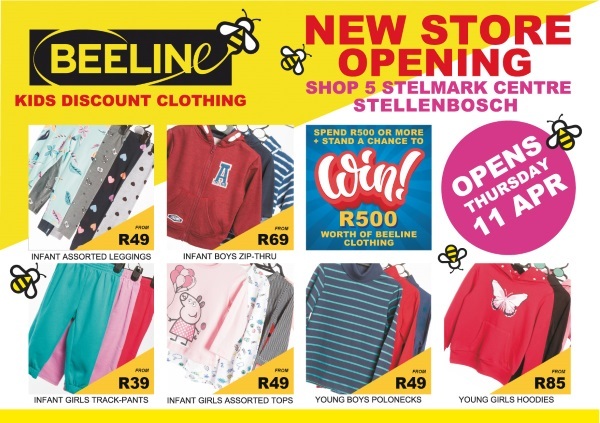 Established over 40 years ago in Cape Town, Beeline has become known for its quality clothing at unbeatable prices. 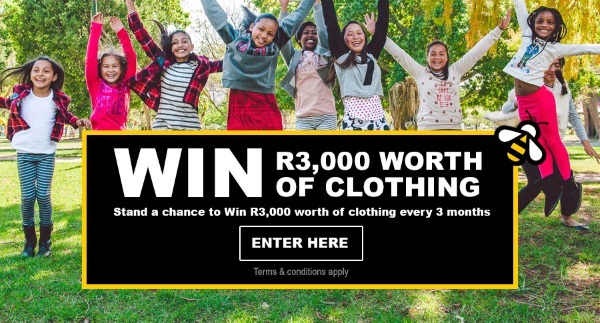 Our parent company is a clothing supplier to major retail chains in South Africa, giving Beeline access to cancellations, overruns and some rejects, of known chain store quality at substantially discounted prices. In addition we have ranges manufactured exclusively for the shop at the same quality but at discounted prices. Predominantly a childrenswear offer, our infants ranges are sized from newborn to 3 years. We then have ranges for younger boys and girls (3 to 9 years) and older boys and girls (10 to 15 years). Mens and ladies ranges are also available and we are currently expanding these categories to offer more choice. New stock arrives weekly and there are always bargains to be had on clearance stock. Prices are generally 35% cheaper than the normal retail chain prices, providing customers with premium quality fabrics and designs at prices you can afford. Our flagship store, at over 300m2, is located in Lansdowne, Cape Town, and we are opening new stores this year to expand our access to more customers.